Mini Rocker–Shaker MR-1 provides regulated gentle rocking motion of the platform and is ideal for mini gel destaining after electrophoresis, conducting Northern, Southern and Western blot analysis. Shaker is a compact, noiseless device designed for personal use. The use of direct drive and brushless motor allows continuous mixing up to 7 days and ensures reliable, trouble-free operation for more than 2 years. Non–slip, temperature resistant, silicone mat located on the rocker’s platform provides stable position for vessels during shaking. Optional dimpled PDM mat fixes tubes of different sizes. Optional dimpled mat PDM prevents different size tubes from rolling around the platform. 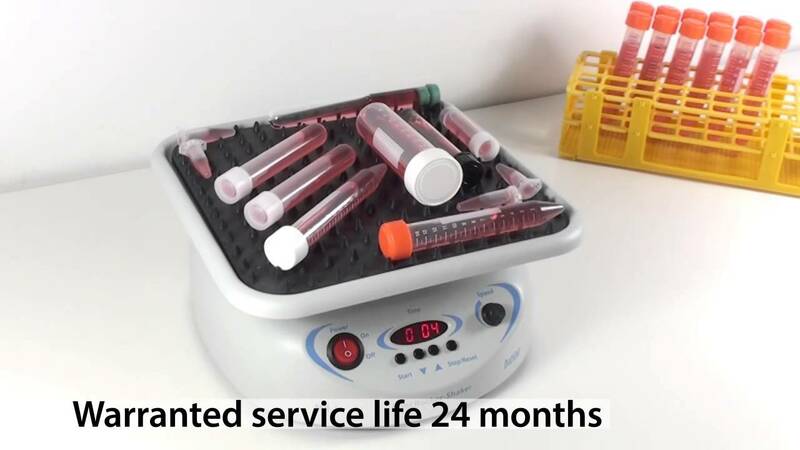 Does the maximum load include the weight of the platform Bio PP-4S and PDM mat? Declared maximum load applies only on useful load and does not require taking into account the weight of the platform and PDM mat. Dimpled mat PDM prevents different size tubes from rolling around the platform.